It&apos;s pretty hard to dispute the collaboration greatness Inventory Magazine has been putting out the last few years, and when they team up with Yuketen, you know it&apos;s magic. This particular collaboration for their second version of the Maine Guide Shoe ($480) brings us awesome in a box. 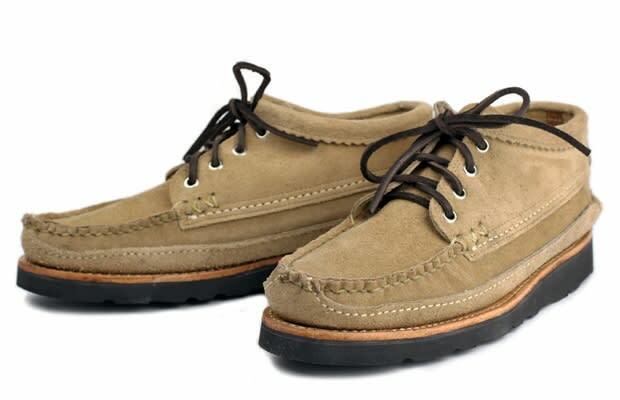 The light khaki suede uppers and black Vibram sole make these even more of a commodity. Coming in a Custom natural HBT shoe bag & leather hang tag, only 30 pairs of these will be available.